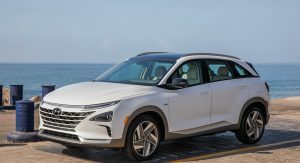 Hyundai is gearing up to launch the 2019 Nexo at two southern California dealerships later this year and the automaker has released new details about the US-spec model. 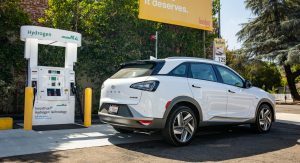 Billed as a “culmination of our cutting-edge technologies,” the Nexo picks up where the Tucson Fuel Cell left off. However, the company’s latest FCV features more advanced technology and a more distinctive design. 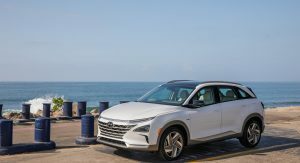 Speaking of the latter, Hyundai will offer two versions of the Nexo called the Blue and Limited. The Blue is the base model and it will ride on 17-inch alloy wheels. 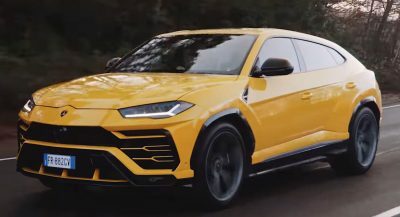 The Nexo Limited, on the other hand, will come equipped with 19-inchers. 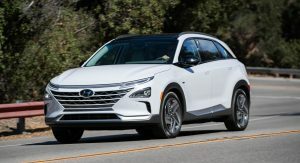 Hyundai was coy on additional features but confirmed the Limited variant will also have a sunroof, a power liftgate and remote smart parking assist. 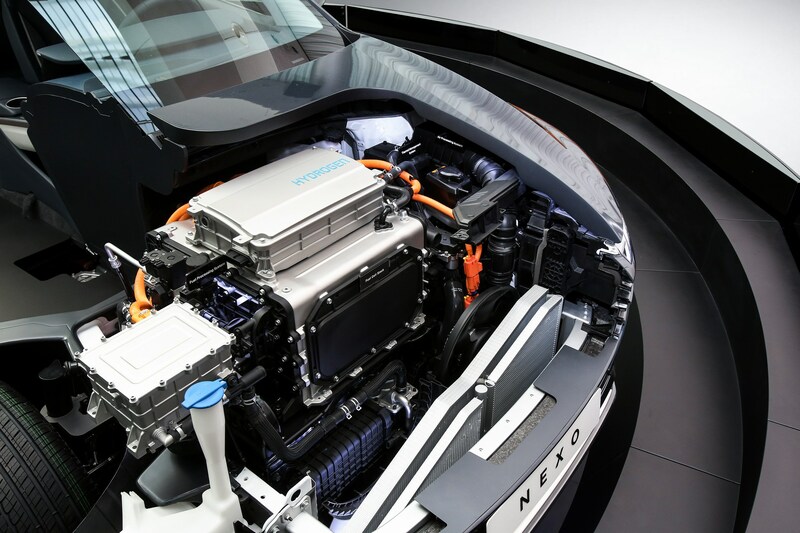 The big news is the Nexo’s fuel cell powertrain which produces 161 hp (120 kW 163 PS) and 291 lb-ft (394 Nm) of torque. 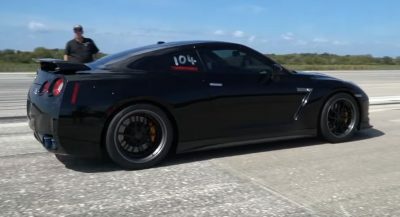 It enables the crossover to accelerate from 0-60 mph (0-96 km/h) in 9.5 seconds. That’s not great, but it’s a significant improvement over the Tucson Fuel Cell which required 12.5 seconds to hit 60 mph (96 km/h). 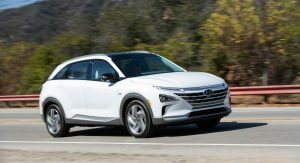 The powertrain will enable the entry-level Nexo Blue to have an estimated driving range of 380 miles (611 km). 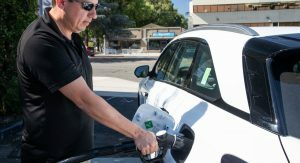 The company also says the crossover has an estimated MPGe rating of 65 city, 58 highway and 61 combined. 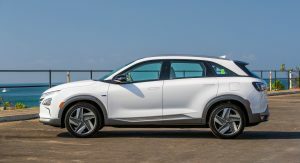 The larger wheels and added luxury mean the Nexo Limited has an estimated range of 354 miles (569 km). 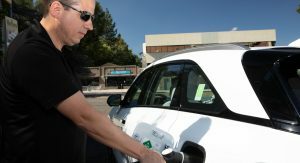 Unsurprisingly, the model also has a lower MPGe rating of 59 city, 54 highway, and 57 combined. 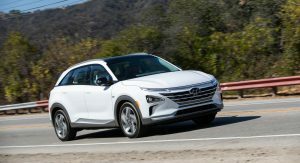 The eco-friendly design extends beyond the powertrain as Hyundai says the Nexo uses “soybean-oil based polyurethane paint, bamboo-thread-based bio fabric, bio-plastic extracted from sugar cane and bio-carpet extracted from sugar cane.” The company says these green initiatives helped to reduce CO2 emissions by 26 lbs (11.7 kg) during the manufacturing process. 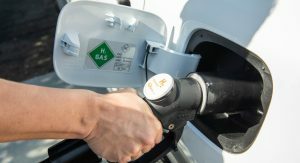 As with most new vehicles, the Nexo will be offered with an assortment of driver assistance systems including forward collision-avoidance assist, driver attention warning, high beam assist and remote smart parking assist. The crossover can also be equipped with a blind-spot view monitor, surround-view monitors and rear cross-traffic collision-avoidance assist. While those systems are pretty familiar, the Nexo will also be offered with a new lane following assist system. 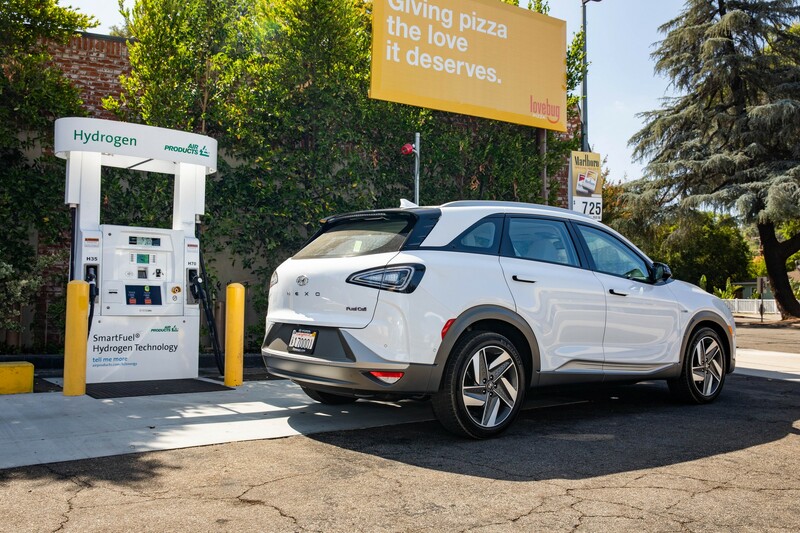 It automatically helps to keep the Nexo centered in its lane at speeds up to 90 mph (144 km/h). Besides the lane following assist system, the Nexo will have a new blind-spot collision-avoidance system. 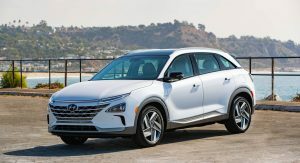 If the driver activates their turn signal and the system detects a vehicle is in their blind spot, the Nexo will “provide steering correction” to prevent a collision. fantastic design, understand yet has its own sharp details. best Hyundai design iv seen yet, imo. You really have a fetish for A-pillars. 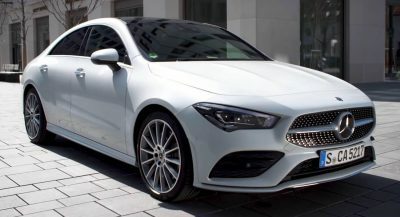 sorry that I care about the details of car design. what a crazy thing, right? Hard to imaging the person this is for, unless you are interested in scheduling a weekly hydrogen fuel station road trip. Pretty dumb, pretty dumb. there are 9 in the Bay Area, a metro region with over 7 million people. Sounds like solid coverage to me.